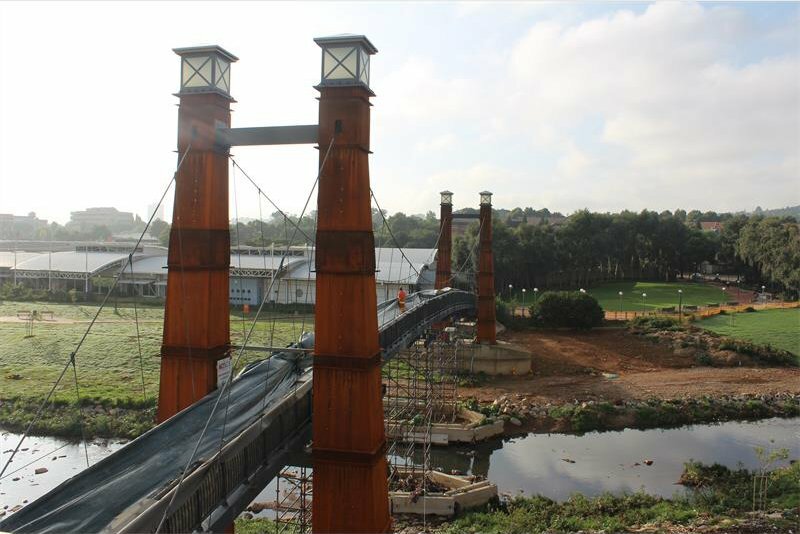 Over the past three decades, the natural elements have caused a significant amount of corrosion to the Bruma Lake Bridge. 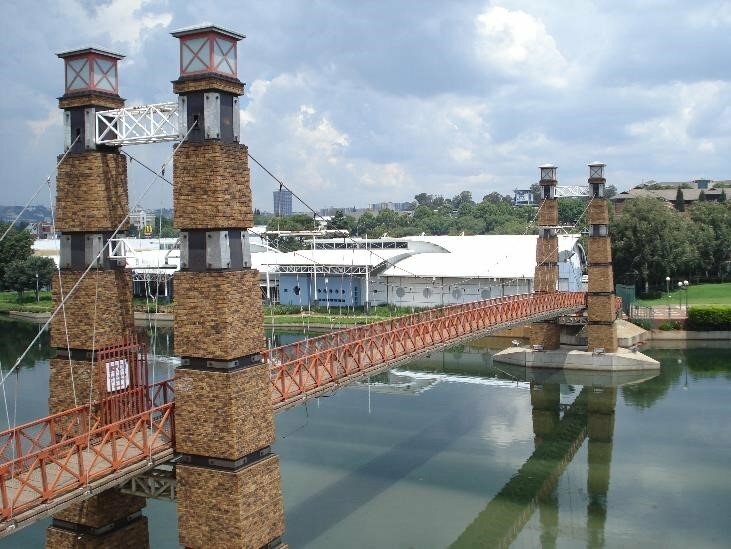 As part of the rehabilitation of the Bruma Lake business precinct, Boksán partnered with Basil Read, who was the main contractor in giving the Bruma Lake Bridge a much needed facelift. Modeling in Advance Steel is quite easy in comparison to other packages I have reviewed. We were able to design gambit plates quickly and all remaining bridge parts using this software because of the program’s diverse functions. Other software options in the market don’t have the advanced pillar functions. It is quite amazing what can be done with plating in Advance Steel.  Make use of existing structural elements as much as possible to manage project costing.  The original structure of the bridge had to be maintained – a cambered profile suspended from steel cables with uniquely designed balustrades, rolled-profiled handrailing and shaped stanchions. 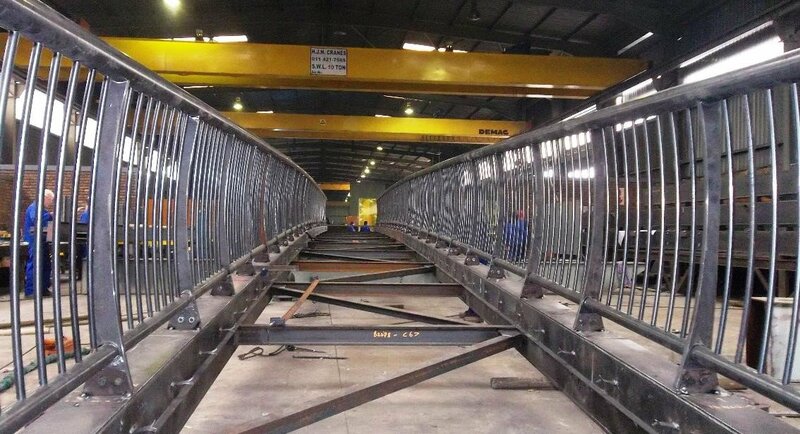  Able to design all the bridge parts quickly using Advance Steel software because of the program’s diverse functions.  Able to model the existing bridge structures with little complication.  The 3D model generation made for easy viewing of the external design of the bridge.  Prokon Software Consultants provided Boksán with all the training required to use Advance Steel and continuing technical support to ensure the project ran according to plan.  Using Advance Steel on the AutoCAD platform helped accelerate design, steel detailing, steel fabrication and steel construction.  It improves accuracy, reduces time to fabrication and enables a more connected workflow. The challenge was to make use of existing structural elements as much as possible to manage project costing. The concrete pillars and other parts can be refurbished to restore the bridge to its former glory as well as ensure that the natural elements would cause minimal corrosion in the years to come.